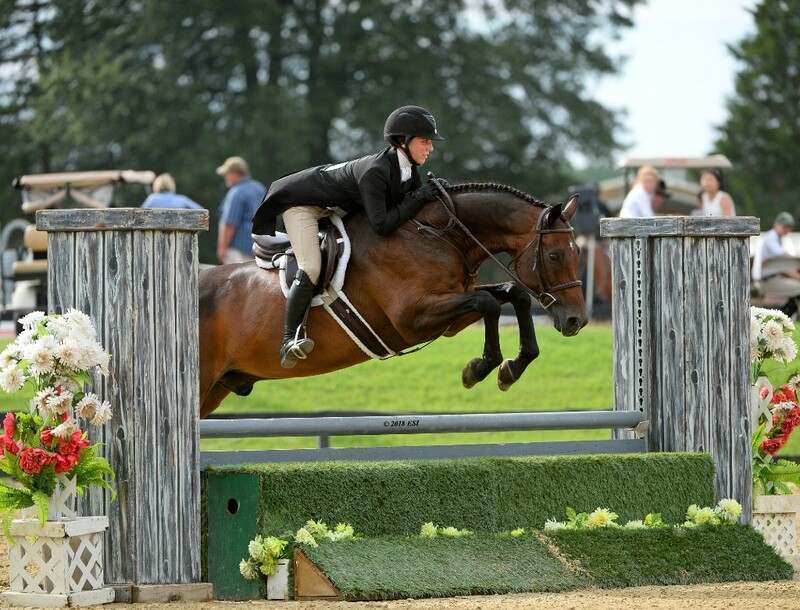 It was a beautiful week at HITS Commonwealth Park in Culpeper, Virginia for the Winston National, which hosted the L.M. “Sandy” Gerald Zone 3 Equitation Championships for the thirteenth year. The show grounds were bustling with excitement in the hunter and jumper rings with riders all looking to capture blue ribbons and Championship titles. Featured classes in the Grand Prix Ring kicked off with the $5,000 Open Welcome where Tracy Magness would take home the win aboard INTANZ VAN HD in a time of 43.994. Cian McDermott would take home the second place honors with NEWCASTLE in a time of 48.172. Laura Gaither would follow picking up the third and fourth place ribbons aboard PHILADELPHIA 54 and GARDA, respectively. Rounding out the top five was Randy Johnson and his partner CAMPARO. 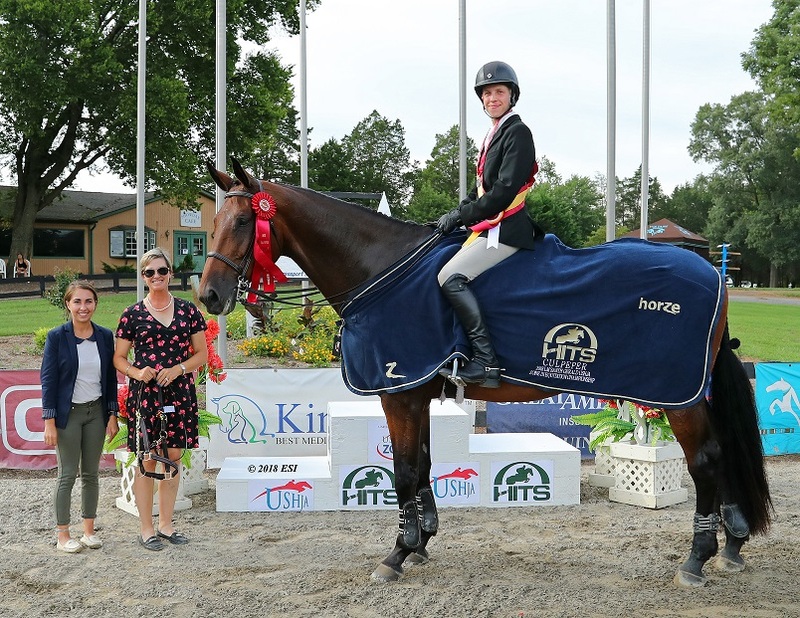 It was a sunny Friday afternoon when a competitive field of horses and riders competed for top honors in the $10,000 Johnson Horse Transportation Prix. Taking home the blue ribbon was Bree Rosales and VOIGTSDORFS QUONSCHBOB, photographed for their win to the right, in a time of 46.526, over a second faster than the red ribbon recipient. Magness would ride to a second place finish in a time of 47.597 aboard INTENZ VAN HD, followed by Gavin Moylan and BALOUS DIAMOND taking third in a time of 48.866. Capturing the fourth place ribbon was McDermott and NEWCASTLE in a four-fault time of 47.458. Gaither would take home the fifth place ribbon in an eight-fault time of 51.106. 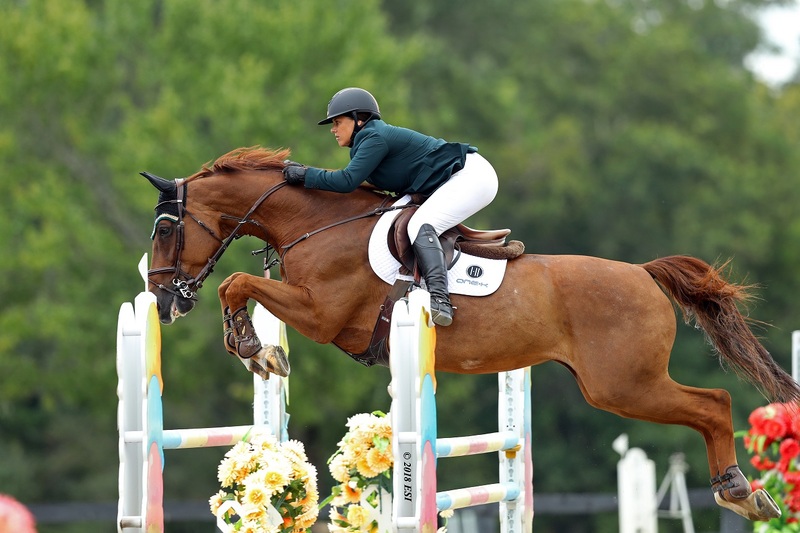 Jennifer Brennan and FIGO B took home top honors in the Children’s/Adult Low Jumper Classic. In the $2,000 Marshall & Sterling/WIHS/NAL Children’s/Adult Jumper Classic top honors were captured by Haley Barnes and OLEY. Taking home the win in the $2,500 Pyranha Junior/Amateur-Owner/Amateur 1.20m Jumper Classic was Thea Bitar and CASTOR. Johnson and JADE VAN DE START took home top honors in the $7,500 Junior/Amateur-Owner/Amateur 1.30/1.40m Jumper Classic. The stakes increased on Sunday afternoon for the $20,000 HITS Open Prix where riders competed for top honors over what proved to be a challenging course. Taking home top honors in the Prix was Magness and INTENZ VAN HD in a time of 43.382, the only duo to go double clean. In second place was Gaither aboard GARDA finishing with a four-fault time of 46.925, followed by Agustin Rosales and CAPELIUS S in an eight-fault time of 38.497. Missing the Jump-Off with just one Time Fault in the first round was McDermott and NEWCASTLE. Brennan and MAC rode home with the fifth place ribbon. 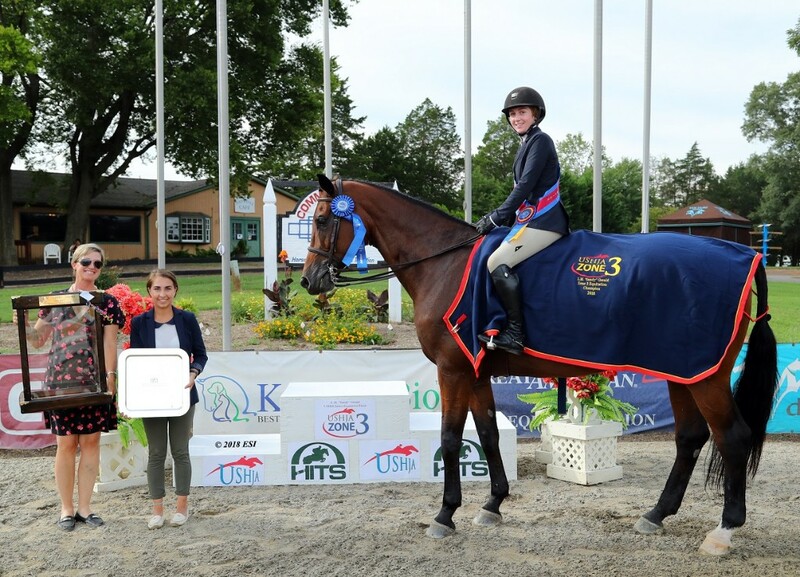 In the Hunter Rings, riders competed for not only points to move up in the standings for the HITS Championship in Saugerties, New York, September 5-9, but also the blue ribbon in the featured Hunter Prix of the week. Saturday afternoon featured classes kicked off with the $1,500 Devoucoux Hunter Prix which is a qualifier for the $500,000 Diamond Mills Hunter Prix Finals. Ashley Helms would take home the win in the Prix aboard her own FRED A STARE receiving a score of 76 in each of her rounds for an overall score of 152. 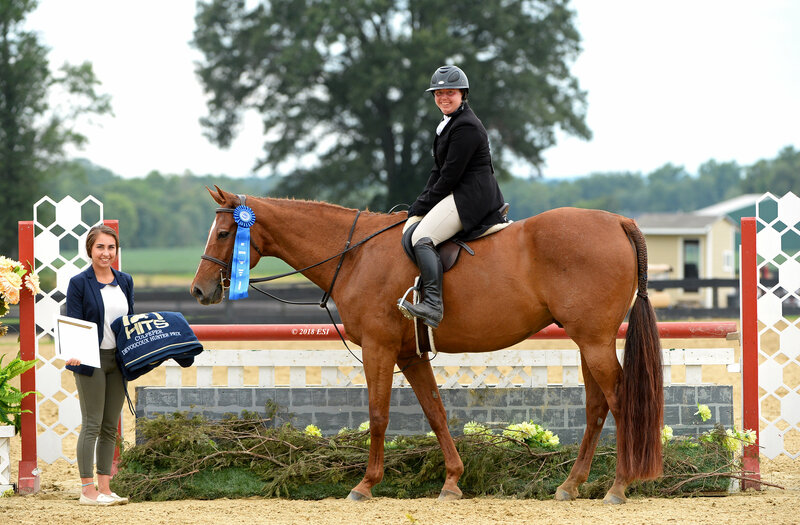 Second place was awarded to Katie McAfee for her ride aboard CAPPUCCINO receiving scores of 60 and 78 for a two round total of 138. Rounding out the top three in the class was Melissa Blades and BETTY BALOU with scores of 65 and 72 for a total of 137. Junior and Amateur riders competed for points to qualify for the $100,000 Platinum Performance Hunter Prix Finals at the HITS Championships. 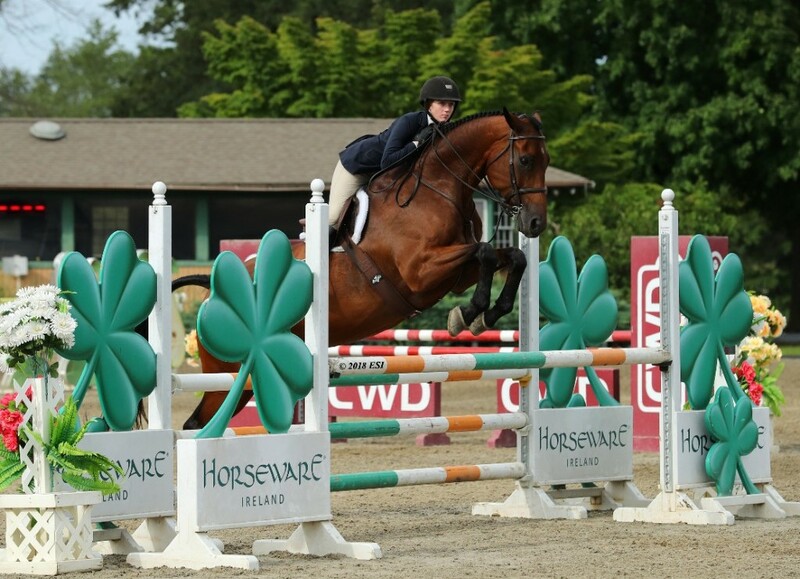 Lydia Davidson and PARK AVENUE were awarded the blue ribbon with scores of 79 and 83 for a two round total of 162. In second place was Caroline Hardie and her ride aboard GERICO receiving an 80 for each of her rounds for an overall score of 160. Taking home the third place ribbon in the Prix was Madison Smyth and LAWITA with a first round score of 55 and a second round score of 73 for a total of 128. On Saturday afternoon a field of 18 athletes competed for the Championship title in the L.M. “Sandy” Gerald USHJA Zone 3 Equitation Championships. All of the riders competed over a course in Round One that is designed to test the riders skill and ability. The top twelve riders then returned for the flat phase where the Champion was determined. HITS Culpeper looks forward to hosting the L.M. "Sandy" Gerald USHJA Zone 3 Equitation Championship at the Winston National for the 13th year! 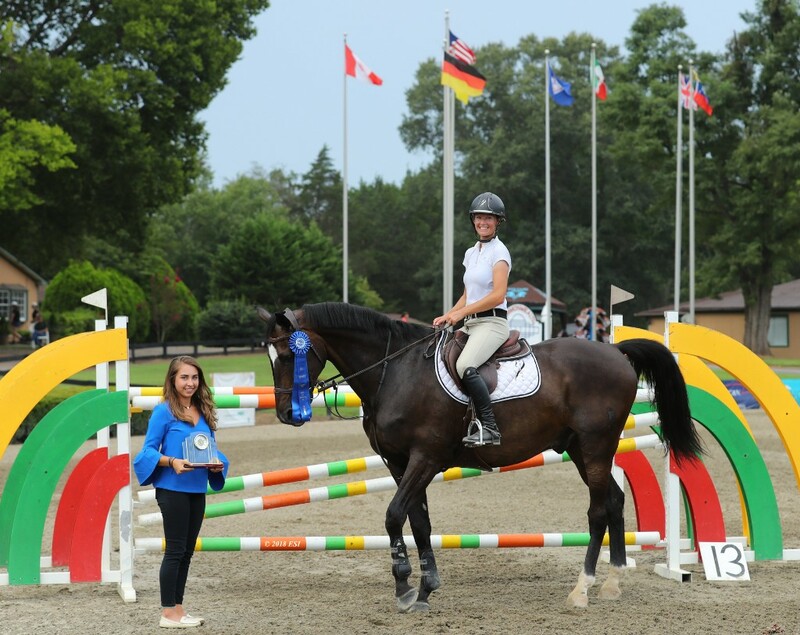 The Equitation Championships are open to junior riders that reside in Zone 3 and are current USEF and USHJA members. Or by winning the USEF, ASPCA Maclay, or WIHS Medal classes in any state or zone. Taking home top honors in the Equitation Championships was Emma Jolly with score of 84 in Round One putting her at the top of the standings, and with a strong showing on the flat she held onto the lead. Along with the blue ribbon, Jolly received a Custom USHJA Cooler, Handcrafted Ribbon Box donated by Virginia Edwards and Hidden Hollow Farm, USHJA Picture Frame, Silver Trophy, Ribbon Belt donated by Boy-O-Boy Bridleworks, Sash, and Gold Medallion. Belt donated by Boy-O-Boy Bridleworks, Sash, and Silver Medallion. Taking home the Bronze Championship was Ana Bertozzi who received a 77.5 in Round One but with a strong flat phase moved up in the Overall Standings. Bertozzi would take home the third place ribbon, USHJA Picture Frame, Ribbon Belt donated by Boy-O-Boy Bridleworks, Bucket with treats, bandages, shampoo, and liniment donated by Annie Garnett and Rose Mount Farm, Sash, and Bronze Medallion. 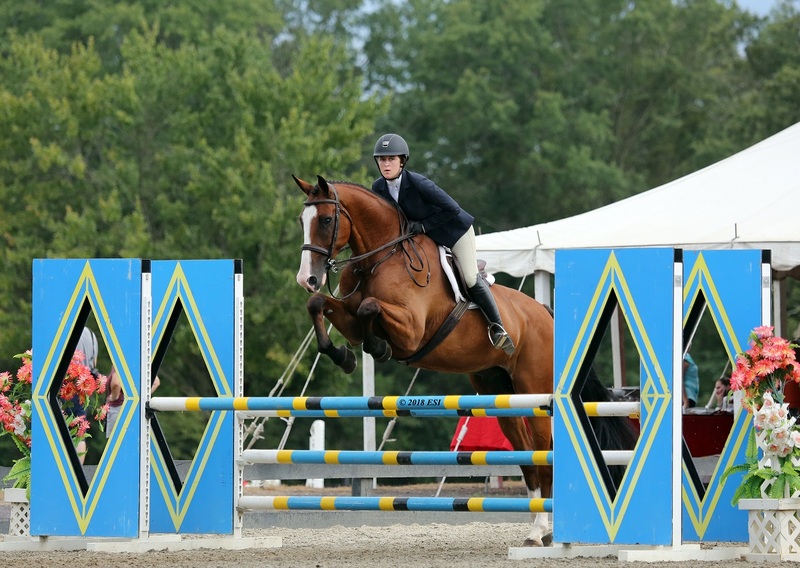 Don’t forget there are still TWO more weeks of show jumping competition right here in the Heart of Virginia’s Horse Country. Join us this week for the Constitution Classic, August 22-26, at HITS Commonwealth Park and then back in September for the Culpeper Finals, September 29-30. For more information, visit the Culpeper Events Page at HitsShows.com. All results from the Winston National are available online. To keep up with the HITS Happenings, visit us online at HitsShows.com or follow us on Facebook, Twitter, and Instagram.